Mushrooms have been on my agenda for months. Each week we brainstorm ideas for new blog posts and over the past few weeks I have had such an urge to craft a mushroom recipe that really works. I knew I wanted to work with crimini mushrooms, otherwise called baby bella (my favorite). The difference between crimini and a white cap mushroom is just age. When the crimini get older, they transform into a portobello. They have a low moisture content, making them great for sautéing. 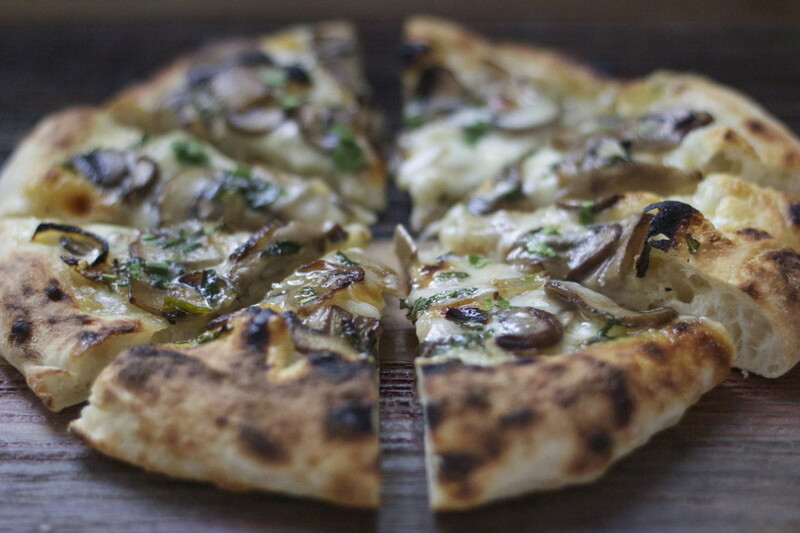 I wanted the crimini to shine so therefor only added a couple of ingredients to the pie, in this case I am complimenting the robust flavors of the mushrooms with the tangy flavor of taleggio cheese. We'll top with a little tarragon to give it a little sweetness and color. Of course, I used my Baking Steel in place of a pizza stone, I can't express enough the difference this makes. 2. 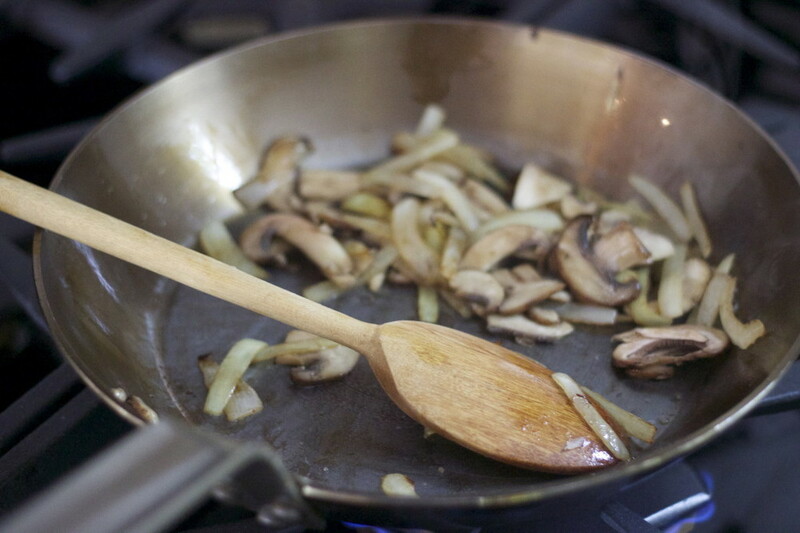 Thinly slice mushrooms and julienne onion and saute. 4. Carefully place onion and mushrooms on top. Remember, less is more. 7. Remove pizza from oven, add freshly chopped tarragon.